We know that it’s very relaxing to share your experiences with friends on Instagram and check out their photos and videos at the same time. If you really like some videos on Instagram, you may want to download them for future reference or preservation. Unfortunately, Instagram doesn’t provide a direct way to save its content. Don’t worry, there is always a way to do it, you can seek the help of a 3rd party Instagram video downloader. But you may find yourself in a perplexed situation where you come across a number of Instagram video download methods on the web and it becomes difficult for you to choose the best suited option. So here we will introduce you 5 effective ways to download videos and photos from Instagram on PC, Mac, iPhone, Android & iPad. There are times when you really like an interesting video on Instagram and want to save the video to your collection, but there is no mechanism to do so. However, there are certain ways to download Instagram videos, if only you have the right tool or have a good command of computer skills. 3rd party desktop video downloader can always be your first choice whenever you have the need to download Instagram videos. To download videos from Instagram using a third-party software, Gihosoft TubeGet can be your good helper, as it’s a clean, free and powerful video downloader for Instagram. With user-friendly interface and operations, both computer novices and professionals can master all its features in a remarkably short period of time. Apart from Instagram, you can also use this desktop software to save videos from YouTube, Twitter, Facebook, Vimeo & Twitch etc.. Here I will show you how to download Instagram videos on Windows and Mac platform using Gihosoft TubeGet. Step 1: Copy the video URL on Instagram and paste it into Gihosoft TubeGet, then the application will parse the link quickly to get the requisite information. Step 2: On the parameter panel, just select your ideal download resolution and saving location for the video. The higher quality you choose to download, the bigger the size of the video is. Step 3: Start the downloading process and you will see the progress bar on the interface. Instagram is a social media app that allows users to share photos and videos from their lives, add captions, edit filters, tweak settings, engage with others, explore, and so much more…… But what if you want to download these videos so that you can share them, and view them at your leisure? Well, below is a feasible scheme. If you are tired of downloading and installing software, SaveDeo is the right solution. It’s an online site which claims to provide the easiest way to download videos from YouTube, Tumblr, Facebook, Instagram, Vimeo and more. With this online Instagram video downloader site in hand, one can easily save any video from Instagram in just a few clicks, and leave nothing on the web. Below are the steps to save Instagram videos on your computer or mobile phones using SaveDeo. Step 1: Copy and paste the URL into the box and press “Download”. This site will then redirect to a new page with a thumbnail and download link of the video. 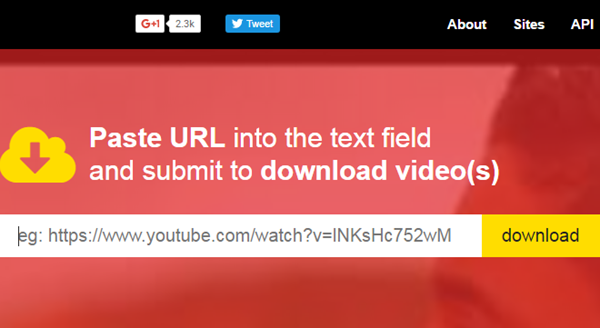 Step 2: Click “Download” and it will play the video in a new page, you just right click on the page and select “Save video as”. 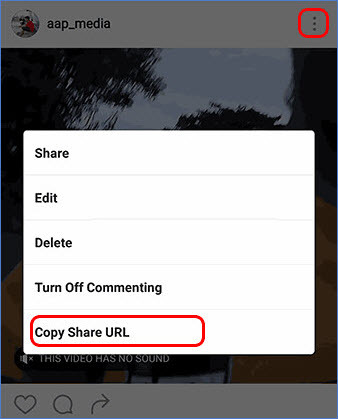 Step 3: Choose the location and rename the video, then click “Save” to download. While scrolling through Instagram posts is great, sometimes you may find some content you want to download. You could discover a puppy video you love so much you need it saved for all eternity. Or, perhaps you have several posts you need to keep and reference as part of your Instagram marketing. Either way, you never know when the post’s creator may delete that video post, never to be found again. Then how to save Instagram videos offline? Well, aside from those 2 methods above, there are more ways you can try, and below is another. In fact, you can download video from Instagram directly using your Chrome browser without any software or website, just by utilizing the source code. Well, that sounds quite tricky, but it’s quite simple once you get the hang of it. Are you ready to get your favorite videos from Instagram? If so, let’s get started! Step 1: Right click on the page and click “Inspect”, and a box will pop up. Step 2: Tap “CTRL + F” on the keyboard, and a search box will appear on the lower-left corner, type “mp4” in the box and press “Enter” key. Step 3: Double click the video link in the double quotation mark on the right side of “src=”, then copy and paste it into your browser. Step 4: You will be redirected to a new page, right click on the page and select “Save video as”. Step 5: Give the video a new name and choose a saving location, then click “Save”. While skimming through Instagram feed on your Android smartphone, you may come across interesting videos once in a while. But then you come to know that Instagram doesn’t have a built-in download passage for you to keep those videos on your own devices for preservation, it really frustrates you. But why let go of your wish, as there are many Android apps in the market that have the feature to save Instagram videos, and InstaSave is one of the best Instagram video downloader for Android. It lets you download or repost videos from Instagram with a single tap, and the downloaded content is automatically added to your phone’s gallery app. Now check out this guide to quickly download Instagram videos on your Android smartphones. To get started, first you need to download the app from its official website or Google Play. Open Instagram app, go to the targeted video you want to download. Once you are there, tap on the 3 vertical dots and select “Copy Share URL”on the new menu. Now open the InstaSave app and the URL will be pasted automatically, then the app will start to analyze the link. 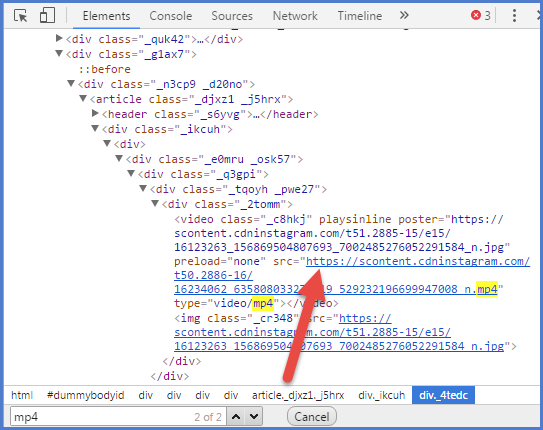 After the parsing process, you will find a download button arrow on the bottom right corner. Tap on the download arrow and the video or the photo will be soon successfully saved to your Android phone Gallery. When you think of social media apps, one of the first that probably comes to your mind is Instagram. Instagram has become the favorite social network of many — and not just for teens and Millennials. Plus, they don’t just use Instagram casually, as 38% of them use it several times each day. Instagram is a great source of knowledge and entertainment catering to people by millions of fancy photos & videos. What if you want to keep these videos to your electronic devices? Is there any trick? Well, as we’ve covered Android, PC, Mac and web site. But what if you are an iPhone or iPad user, then how do you download Instagram videos on iOS? Well, The options are very limited when it comes to iOS, because it’s a closed system. But there still several apps in the App Store that profess the ability to download Instagram videos & photos, and Regrammer is one of the best. The app is entirely free, and although it’s ad-supported, the ads aren’t so obnoxious you’ll want to steer clear. How to save Instagram videos on iOS devices? Open the App Store and download the Regrammer for free. In the Instagram app, go to the photo or video you that want to save, then tap on the “Share”icon above the photo that looks like “…”. 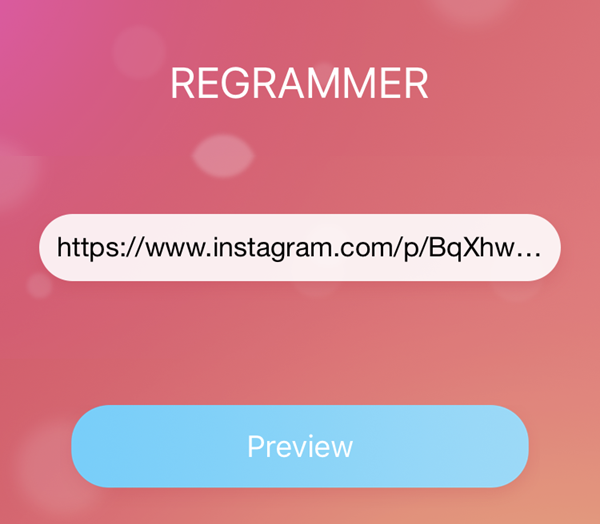 Come back to the Regrammer app, paste the link and tap “Preview”. Tap on “More options”, this tap will open the Share sheet. Then select “Save to Files”or “Save Video”, the video will be downloaded automatically to your Camera Roll. These are the methods which I use to download Instagram photos and videos on PC, Mac, iPhone, Android & iPad in 2019. Now it’s your turn to try them and start your own video journey. If you find them useful, please share them with your friends. If you have any other method or any other app to download Instagram photos and videos, please share it in the comments section with everyone.